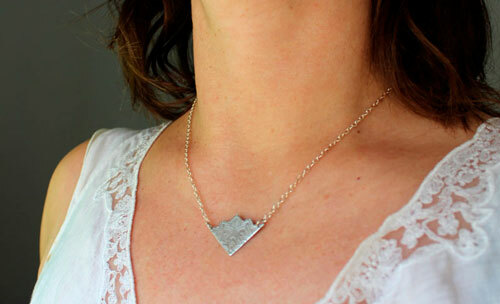 The necklace Life Flower is a poem to life. 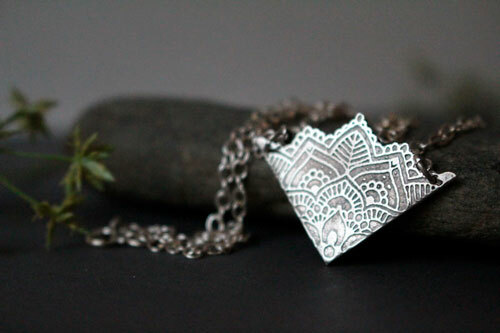 This triangle and geometric shape pendant was etched with a mandala pattern. 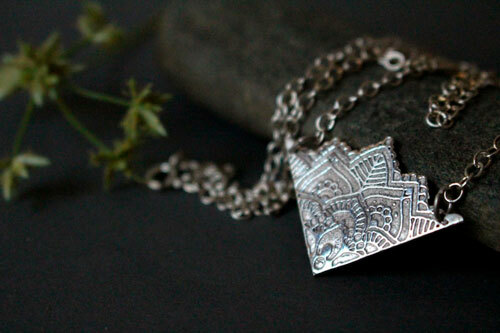 Its unusual shape will certainly be the sophisticated touch to your daily outfit. 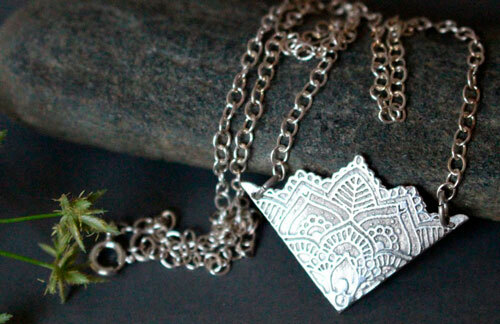 If you like mandalas and flower patterns, this necklace is made for you. 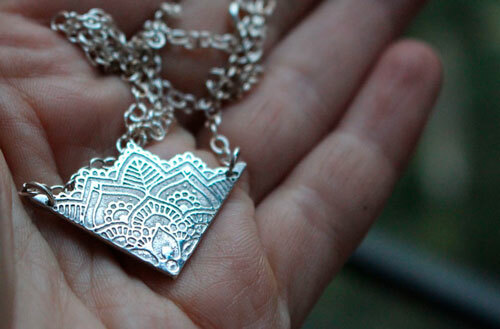 The pendant measures 2.2 cm high. 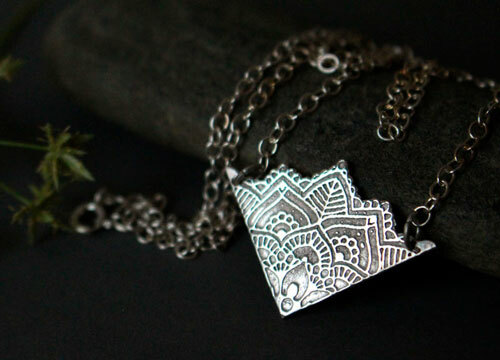 Tag: necklace, sterling silver, triangle, pendant, mandala, lotus, boho, delicate, romantic, symbol, wedding, engagement, baptism, wedding anniversary, India, indian, Hinduism, Buddhism.